Current Residence: Vancouver, British Columbia. Current Sport(s) Played: Softball with WESA, the West End Slo-pitch Association. Favorite Athlete: Kevin Pillar/Trevor Linden. Favorite Team: Toronto Blue Jays/Vancouver Canucks. Interests/Hobbies: Softball, umpiring, gardening, tech and music. Best Physical Feature: My eyes. Why You Love Sports: I love the competition, the challenge and most importantly, the great friendships that are formed. How You First Got Involved in Sports: I played soccer as a youngster. Other Sports Played: I played football in high school. When I was coming out some friends played gay volleyball and that was the start of it. 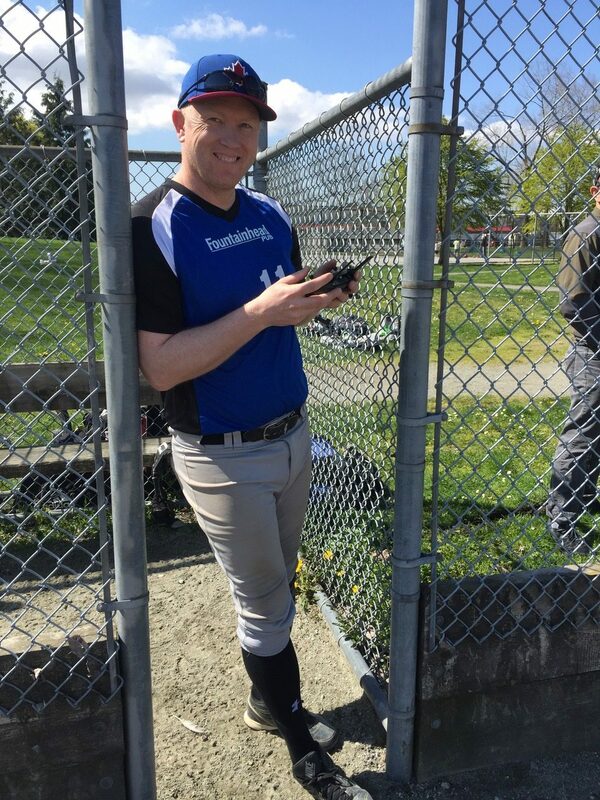 I played gay volleyball for 15 years and then picked up softball 20 years ago. Greatest Personal Achievement: Marrying the love of my life. Greatest Athletic Achievements: Receiving the Vancouver Pride Society award for volunteer work in gay sports. Tell us something about you, what interactions you have had with the sports community, LGBTQ community, etc. The sports community was my lifeline. I started playing volleyball in Calgary with a few friends and then I moved to Vancouver and ended up running the Vancouver Gay Volleyball Association shortly after joining the league. Sports allows you to make real connections with real people – bars are fun but it is only a slice of the gay pie. 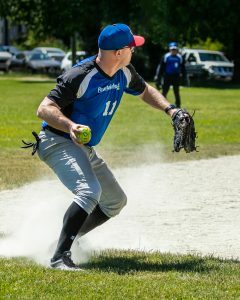 After a few knee injuries I joined softball and found it to be far more social, connected and fun. Volleyball is great but it was about the sport first, people second. Softball was about the people – the friendships and fun. If given the chance, what would you tell/teach your younger self? And/or is there anything you hope to teach the younger generation that may be looking up to you? I would tell myself that it gets better. You will be loved for who you are – and you will find love and happiness. 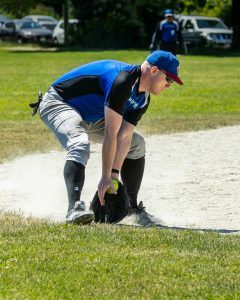 I would love to travel more and continue to give back to the gay softball community that has helped me so much in life. What are your thoughts about the LGBTQ community’s inclusion in sports diversity? I think the community has done a great job of inclusion but there is always room for more openness of gender identity and skill levels.